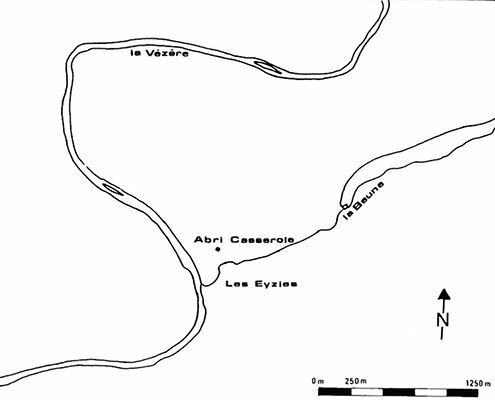 L'abri Casserole is a little known Gravettian, Solutrean and early Magdalenian shelter near Les Eyzies. 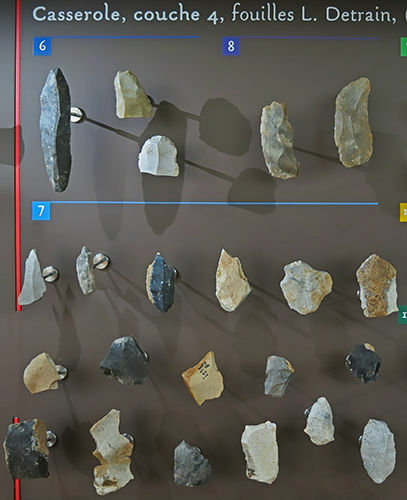 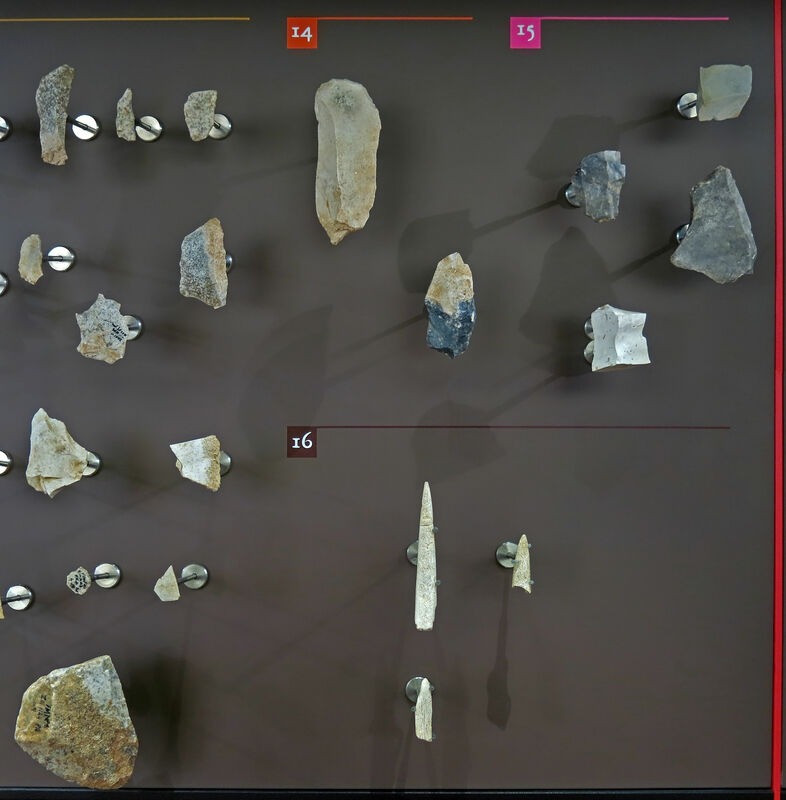 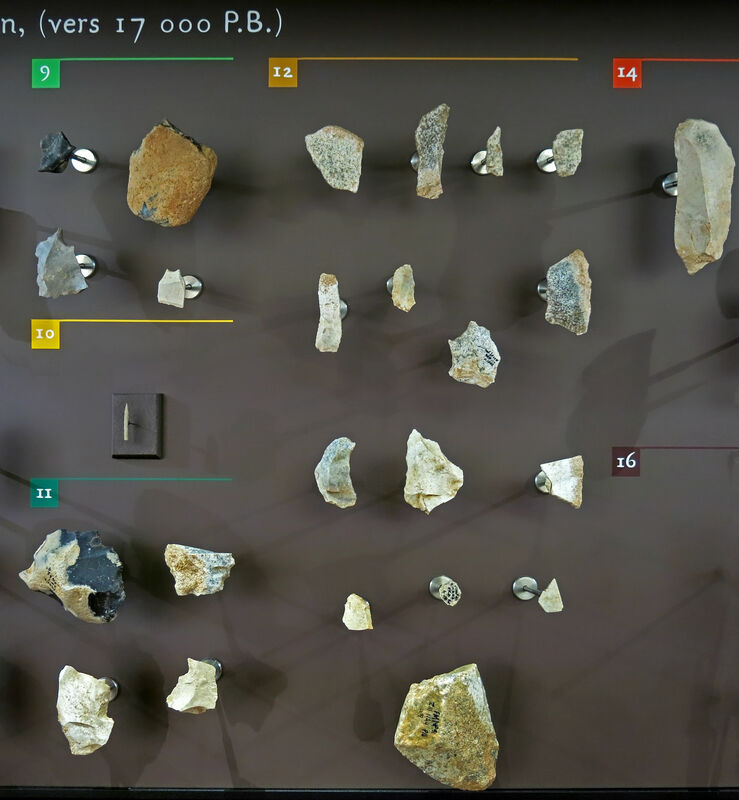 L'abri Casserole tools, layer 4, excavations of L. Detrain. 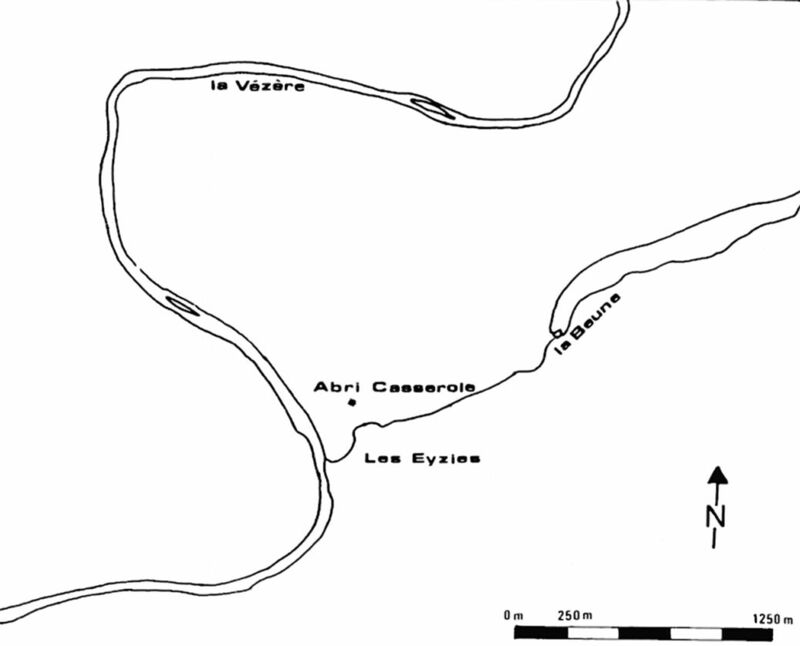 Map showing the location of l'Abri Casserole, close to Les Eyzies.